Hi there! 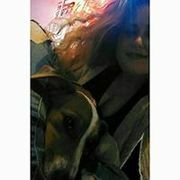 My name is Megan Flanagan and I am inmy second year of studying Psychology in UCD. 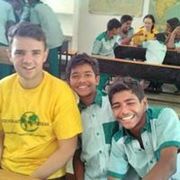 Last summer, I had the amazingopportunity to volunteer with UCD Volunteers Overseas in Care and Share’sButterfly Hill Children’s Home, in South India. During the four week project, Itaught English, science and social studies, organised sports activities and coordinatededucational workshops on topics including; gender equality, cultural awarenessand mental health. 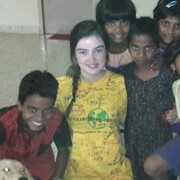 I had a truly inspiring experience with the children and staffof Care and Share. They taught me so much, and exposed me to an incredible lovefor the simplicity in life. I have been blessed with the opportunity to returnto Care and Share to work on the developing project in the summer of 2017, butonly with your help! UCDVO have been working in partnership with theCare and Share organisation since 2010. The organisation is located in Vijayawada,Andhra Pradesh; in south-east India. Care and Share run two children’s villages‘Daddy's Home’ and ‘Butterfly Hill’. The organisation educates over 6000children of severely disadvantaged backgrounds, as well as rescuing andsheltering HIV+ and AIDS orphans. During our time overseas, my UCDVO team (of26 volunteers) and I will participate in many activities with the children andstaff of Care and Share. We will work in educational environments; teachingstudents and sharing skills with staff, as well as running health educationworkshops, and organising extra-curricular activities and sports. I have been challenged with fundraising €2,600 tocover the costs of the projects and materials needed, and also my own costs fortravelling and living there. I plan to fund much of the expense myself, andalso aim to hold numerous events throughout the year to help cover the cost. Lastyear, the funds raised went to providing schools supplies and educationalresources, employing a child psychologist for the organisation, renovatingclassrooms and the children’s homes, partly funding the building of arehabilitation room in a partner physiotherapy clinic, and so much more. I would be extremely grateful if you could makea donation to the project – no matter how small! Any contribution is muchappreciated and will go so far in helping the continuing progress of the Careand Share organisation! “In a gentle way, you can shake the world” ~ Gandhi. 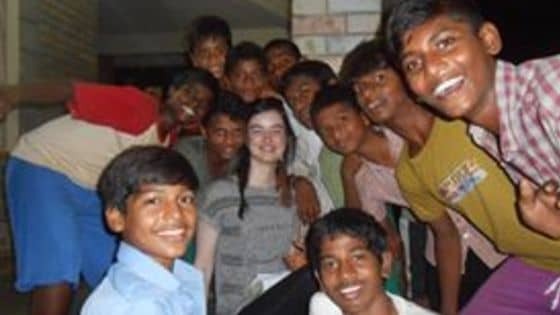 They will all be absolutely delighted to have you back Megan! Best of luck this year.